Food slime is very popular right now. People love making food slime and watching food slime videos because it’s very satisfying. I have seen all type of food slime, including drinks, desserts… One of my favorite food slime is donut slime! 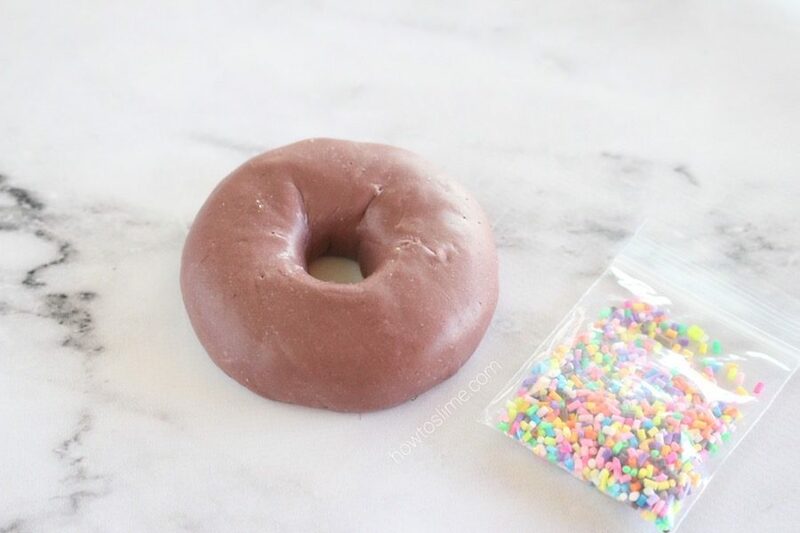 I made this donut slime using two different types of slime and fake sprinkles. I really love how it looks, just like a real donut! 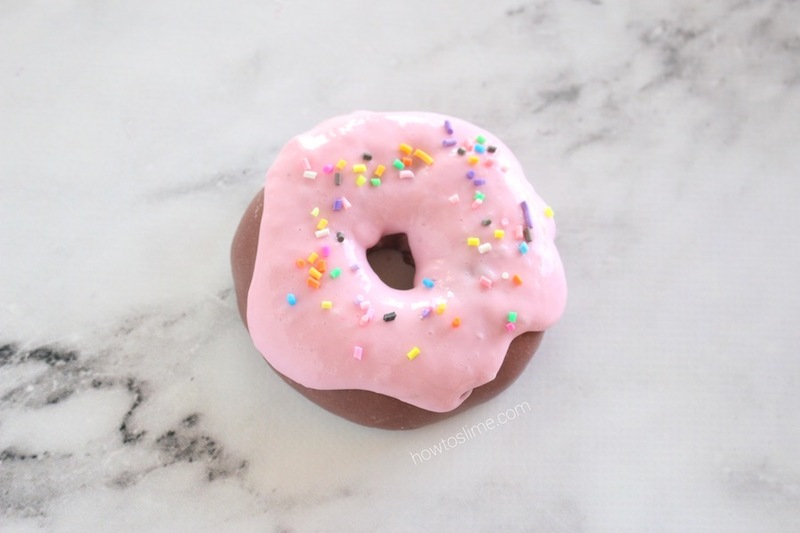 If you want to know how to make this donut slime, continue reading for the recipe. Making this donut slime was so much fun. It’s a Chocolate Strawberry Frosted Donut with rainbow sprinkles on top. 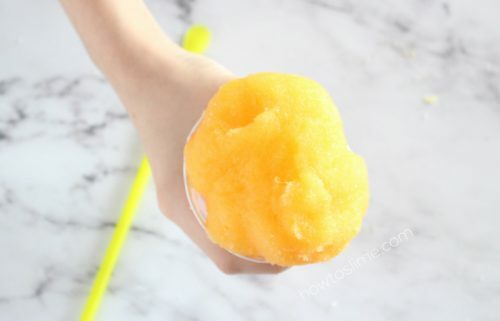 You can try making any flavor you like! 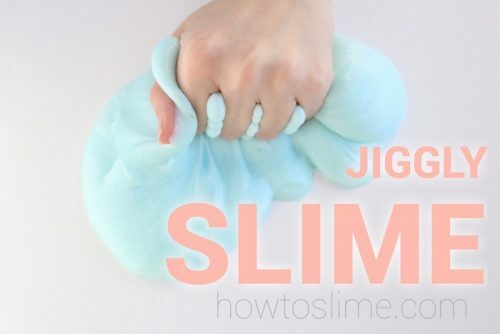 There are so many types of donut slimes that you can make, and that’s why making slime never bores me! The cake part needs to be thicker, so I made a butter slime with cornstarch that holds its shape longer. The glaze needs to be more thin, runny and glossy, so I used my basic slime recipe and added some baby oil. 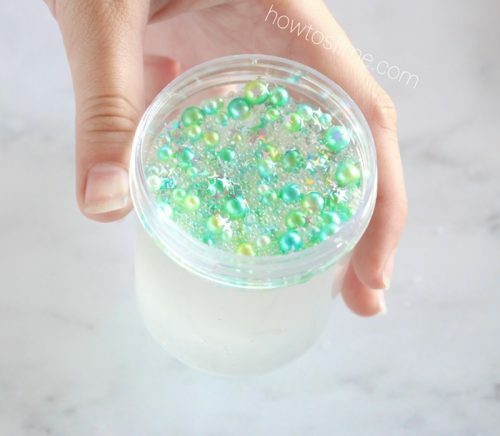 1 teaspoon of borax powder dissolved in 1 cup of warm water. (Or you could use Sta Flo instead of borax). Empty almost all of the white glue into a bowl and add the brown food coloring (you will use the rest of the glue to make the pink slime). You can make your own brown color by mixing same amount of red and green, and then a little bit of blue food coloring. Sir well to combine. Add the cornstarch and mix well. Add the borax mixture to the glue while stirring, until the slime forms. Take it out of the bowl and knead with your hands when it’s not too sticky anymore. You can add activator as needed. Make the pink slime with the rest of the glue. 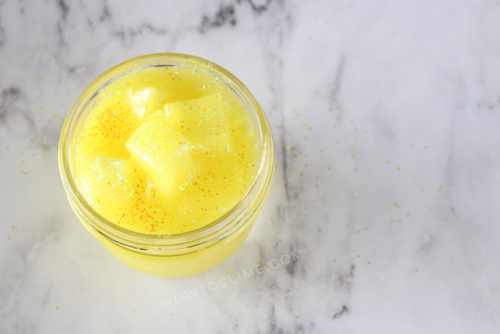 You will only need a little of this slime to use as frosting. Mix the glue with the pink food coloring and add the activator. Knead and add borax as needed. Add a few drops of baby oil, or until the slime is very glossy. 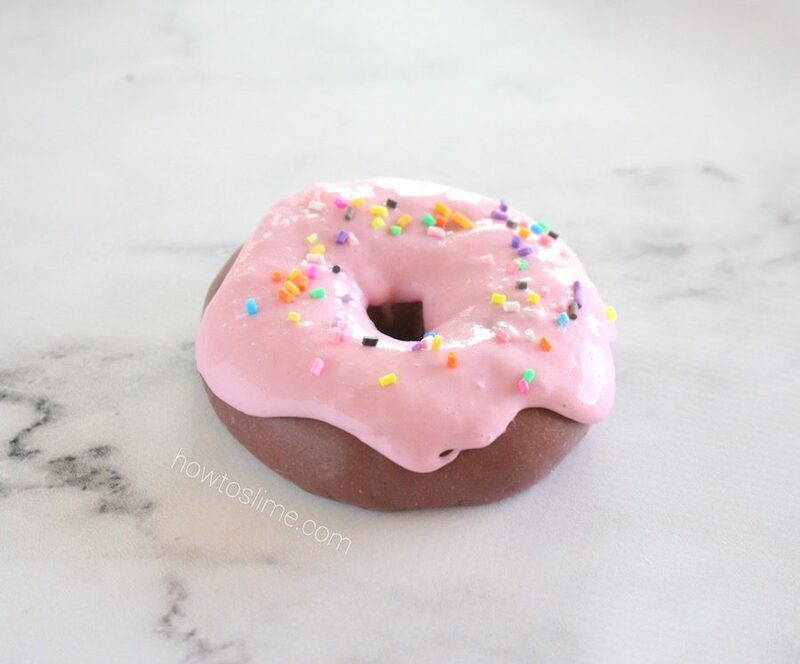 Make a donut shape with the brown butter slime and cover with the pink glossy slime. 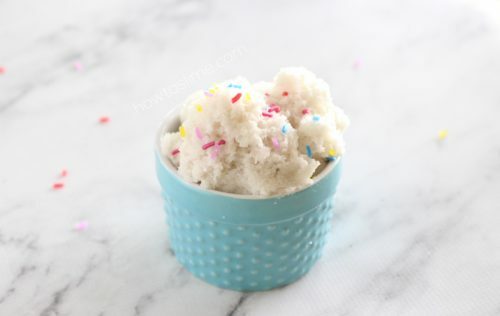 Decorate the donut slime with some fake sprinkles!